The slides and videos from the tutorial have been uploaded. DISCLAIMER! The PPTX files and videos were all uploaded for convenience! Please note that the copyright of any material not created by our team is with the respective authors, so it might be required to ask them if the material is reused for a certain purpose! The Christian Doppler Labor for Handheld AR is the premier research laboratory for mobile Augmented Reality. Augmented Reality is a promising interface technology changing the way we access information. With ubiquitous handheld devices such as mobile phones, browsing our environment visually anywhere at anytime will be the predominant mode of interaction. 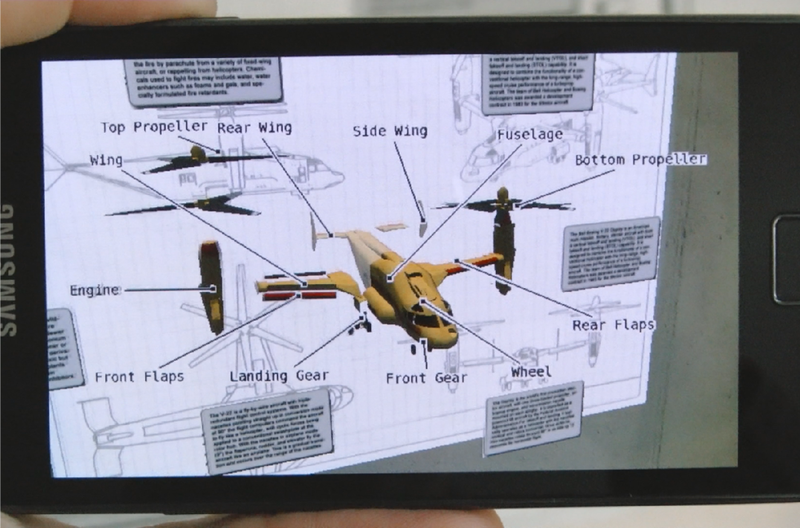 The Handheld AR team has made major contributions to the field of mobile Augmented Reality. 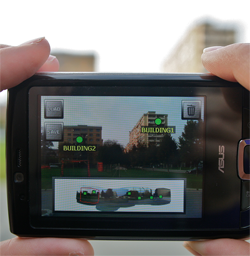 We were the first to introduce Augmented Reality on PDAs in 2003 and were the first to demonstrate realtime Natural Feature Tracking on mobile phones in 2007. Our tracking technology has now become available world wide as part of the Qualcomm AR SDK. The current Christian Doppler Laboratory will come to end end by October 31, 2015. "Taking AR to the next level” - CDL Workshop on Tracking Technology for AR, Graz, Austria, September 15-17, 2014 - Bibliographical Sketches and Workshop Dinner Update! The bibliographical sketches of the keynote speakers have been collected and are available here (in order of the keynotes). The workshop dinner will take place at the Altsteirische Schmankerlstube close to the main square in Graz. "Taking AR to the next level” - CDL Workshop on Tracking Technology for AR, Graz, Austria, September 15-17, 2014 - Program Update! 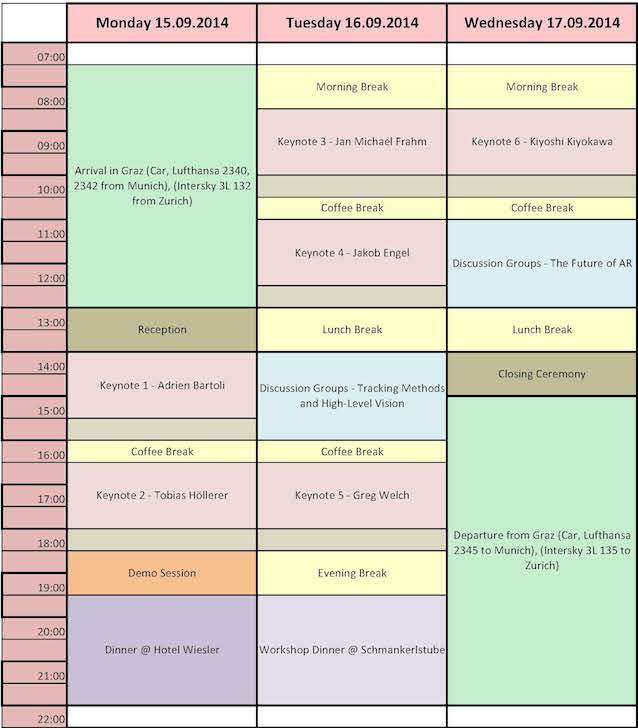 Tentative time table for the workshop. "Taking AR to the next level” - CDL Workshop on Tracking Technology for AR, Graz, Austria, September 15-17, 2014 - Venue details! 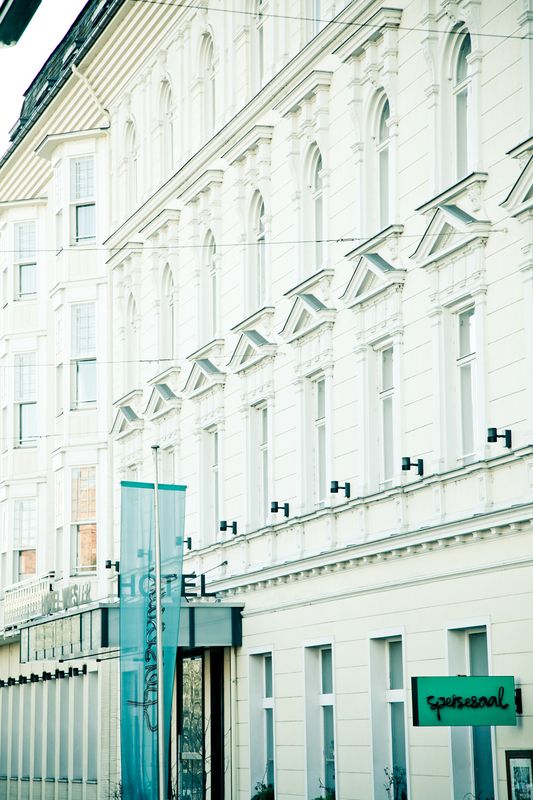 The event will take place at the Hotel Wiesler in the city center of Graz. 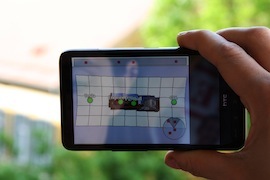 "Taking AR to the next level” - CDL Workshop on Tracking Technology for AR, Graz, Austria, September 15-17, 2014 - APPROVED! More information about the venue will be announced soon. We invite a limited number of master students to this event. All cost including travel expenses and stay at Graz will be covered! This is not a call for papers! It is just about getting to know our lab and probably become a collaborator. Interested persons are asked to send in their CV to applications@icg.tugraz.at by July 15, 2014. We will closely consider all submitted CVs and will announce the list of accepted participants on this webpage by July 18, 2014. The CDL on Handheld Augmented Reality is the most prominent research group in the world, known for the invention of new technologies in the area of mobile AR. Qualcomm as the world’s largest chip manufacturer is investing considerable efforts to push AR technology for mass-market commercialization. Since the start of the CDL for Handheld Augmented Reality, AR has raised tremendous interest in society, social media, industry and other research areas. Still, some aspects remain very challenging: tracking is still the core problem to solve and to make AR applicable in real-world scenarios for mass-market applications. Our intuition is therefore to focus the proposed workshop on tracking technology and trends in CV research, to quickly move forward in this area and to bring up new concepts for solving AR related problems. Involve interested students and get them in touch with the technology, probably hiring them as PhD candidates. We will invite four keynote speakers from the list of prominent experts in the field of CV and AR. The event is planned to take place in the Aula of the Graz University of Technology, and the surrounding lecture rooms of the ICG department, Inffeldgasse 16, 8010 Graz. The event is currently TENTATIVE and the taking place of the event will finally be confirmed on June 30, 2014. LIMITED NUMBER OF STUDENT GRANTS AVAILABLE!!! We invite a limited number of master students to this event. All cost including travel expenses and stay at Graz will be covered! This is not a call for papers! It is just about getting to know our lab and probably become a collaborator. Interested persons are asked to send in their CV to applications@icg.tugraz.at by June 30, 2014. Social AR is a project that targets new concepts for mobile Augmented Reality enabling laypersons to create content for mobile AR applications. Within that project we create techniques and applications allowing the creation of content in unprepared environments as well as the sharing of content between users. Information Presentation for Augmented Reality is a project dealing with the two topics of integrating information in real world environments, and compact information presentation for small screen-estate. Real-Time Self Localization is a project targeting the real-time localization of a mobile phone using vision and sensors. 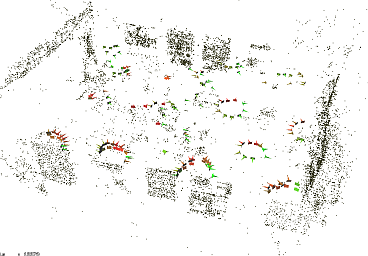 The developed localization framework is based on sparse 3D point clouds and our latest achievements in natural feature tracking. The sparse 3D point clouds are created through a 3D reconstruction pipeline using captured images from a high quality DSLR camera as input. AR Graphics is a project dealing with visual coherence in video based AR. Visual coherence is about blending the virtual augmentations seamlessly with the real-world content. Unrealistic rendered virtual content does not pop out any more, which improves the AR experience. AR Navigation The goal of this project is to design, implement and evaluate novel techniques for enhancing handheld navigation systems with AR. All older projects can be found here.